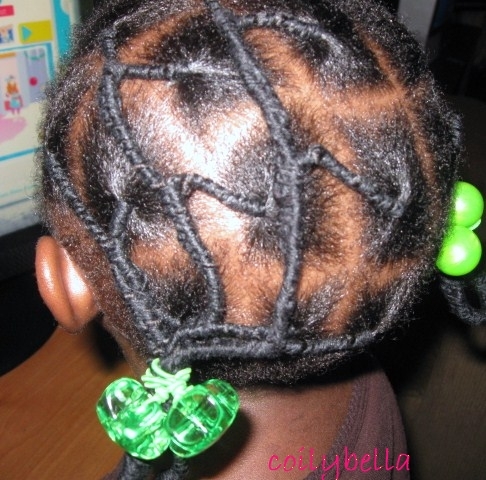 I am loving African threading so much because it really keeps my baby's hair neat and very protected. So far, this is my favorite. I added more threads at the end to make her hair long enough for accessories and it's just much easier to manipulate the ends when they are longer. Like stated in previous post, I only keep her styles for a week. Right now, I am using Jane Carter's Solution Nourish and Shine to seal moisture into her hair and her hair loooooves this product. I tried another product for extra softness, Shea Moisture Curl Enhancing Smoothie. I hated this product because it just sat on my hair and my daughter's but for some reason, when added on top of Jane Carter's Nourish and Shine, it really makes you want to run to Walgreen's and purchase every curl enhancing smoothie they have. 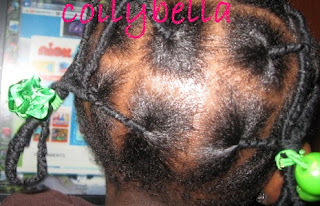 the castor oil challenge is producing fantastic results on her edges, look at those little curls !!!! 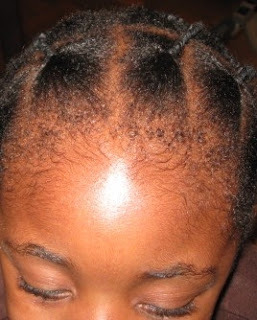 After applying the smoothie, I parted her hair from front to back, starting on the left side of her head. Each column was divided into three to four sections, and each section was threaded. The braids(threaded sections) in each column was joined to the next one with thread and all the joined braids in each column were connected to the ones in the next column. The left side has four columns and her right side has two columns, dividing her her into two sections for piggy tails. 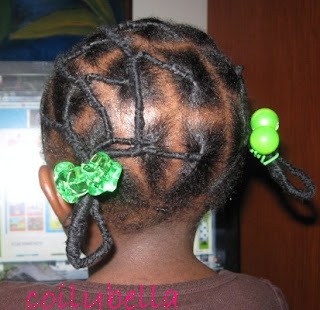 I'm so happy that the castor oil is working for her. Cute look! Too cute! 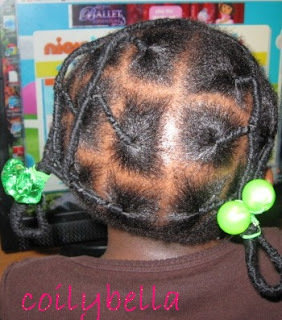 I need to try Castor Oil for my edges. I'm glad it's working for her!